Michael Cuniff Home Improvements, Inc. Exceptional Exteriors and Renovations, Inc.
Evans Roofing and Gutters, Inc. Comment: this is a small flat porch roof that is leaking into the enclosed front porch. It is not very high and is easy to get to. The last person who repaired it, did not do a good job and put the seam down the middle, and it is leaking again. Comment: replace 50 ft of gutters and replace some shingles. Comment: need main roof and side roof checked, small addition in rear has a leak somewhere. Comment: Noticed water damage to plaster in living room - no leaking. Need evaluation and repair of the problem. Comment: 1. Moss is growing on the rear portion of the roof. Clean or otherwise remove moss to reduce water penetration, continued shingle deterioration and subsequent damages. 2. There is moss growing at the brick chimney. Clean or otherwise remove the moss as necessary to reduce water penetration and the risk of future deterioration. 3. 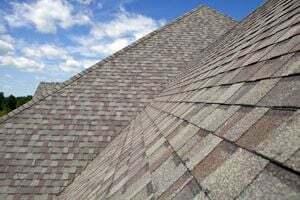 Replace deteriorated flashing to reduce water penetration and subsequent damages. Pittsburgh Roofing Contractors are rated 4.76 out of 5 based on 2,245 reviews of 91 pros. Not Looking for Roofing Contractors in Pittsburgh, PA?